It’s been said time and time again but it’s true, we as gamers love to play the bad guy. In terms of a movie premise, you could say that as the bad guy, you win every fight except the last one, maybe it’s so fun that we don’t care what happens at the end of it all? Maybe it’s just that we’re tagging along for the thrill of the ride? Of course, as in all negative media attention, video games that highlight the robbery genre have been accused of glorifying a life of crime, but I prefer to think of it as an escape or release. Several games that take on this theme of criminal activity seem to borrow heavily from classic Hollywood motion pictures of the past, a perfect example of this would be the Grand Theft Auto V‘s ‘Blitz’ Heist which depicts heavy influence and shares similarities to Michael Mann’s Heat (1995) that are just uncanny. Although both highly exhilarating and enjoyable to observe, the difference with video games is that we as a player have the opportunity to take control of something that is so out there and (hopefully) completely out of our comfort zone. Many of the cinematic aspects to these heist movies seem to also translate well in video game experiences. Take Kane & Lynch: Dead Men for example, although the game suffered from clunky controls, it displayed a dark story with intricate characters, none of which were simply black and white but more a blend of shaded grey that revealed deeper layers into their background as you progressed through the game. There’s always one moment in a game that stays with you through your life and for me it was the Retomoto Tower rappel. The descent, tense composition of music and explosive breach all come together to deliver this beautifully intense memorable moment. Further on in the mission when you push through the streets of Tokyo with cops all around you, once again, it made me feel as though I was playing the iconic bank robbery scene from Heat. Movies like Heat, The Town, Bonnie & Clyde, Point Break, Inside Man and Reservoir Dogs, all these movies center around the theme of Robbery in some form or another and the ‘Heist’ element, in my opinion, has now evolved over the years from a sub-genre to a standalone genre in itself. It’s not just the high risk adrenaline pumping experience that keeps us coming back for more, it’s also the perks that come along with it. Payday: The Heist and Payday 2 are excellent illustrations of how preparation and planning serve a purpose to your overall outcome on a heist. There is something awfully satisfying about getting together with a crew and plotting your moves step by step. Whether it be choosing an entry/escape point, dealing with security measures or deciding which gear to bring along, everything is about exploiting the rules and the situation. Gamers love to break the rules, no matter what the circumstance is, if there are rules and laws out there, chances are we as players want to exploit them purely for the purpose of releasing our imagination away from the real world or even sometimes it’s simply a form of stress relief. Dealing with crowd control, becoming a demolition/technical expert in safe cracking, the getaway driver, all those notorious roles that we see time and time again in the movies, we get a chance to take responsibility for these ourselves when we play a game of this genre and it in all honesty, it feels pretty exciting! 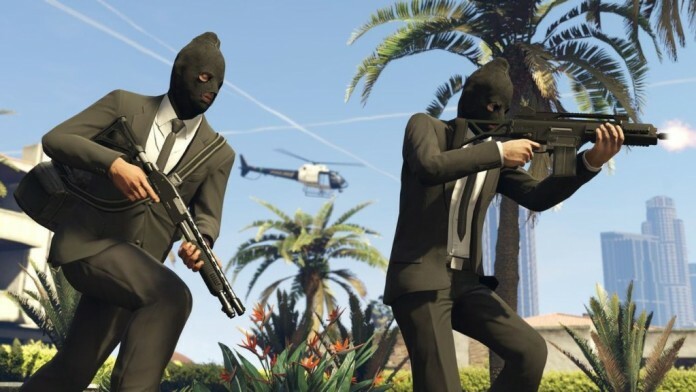 With GTA Online recently releasing their Heists mode, there’s no doubt or question that owners of the game will dive straight into this content without hesitation. As well they should, it was one of the highlighted selling points from the initial trailer and if you do play regularly with friends online, games like this are a perfect way of banding together and successfully completing a series of cooperative obstacles. It’s a challenge, and we as the player want to tackle and conquer it. The world of high risk, high gain, although dark, lawless and filled with consequence, it’s an appealing fantasy world with a potential large sum reward as an outcome.